Running can be extremely fun and fulfilling especially if it’s aided by a great pair of running shoes. However, the human body tends best running shoes for high arches to vary from person to person and some of us actually have high arches, also referred to as under-pronator. This means that a running shoe which might be comfortable for someone who is ‘flat-footed’ or someone who has low or no arch will not be comfortable for someone who has high arches. Luckily, there are specially designed running shoes for high arches. Some of them are noted below. We’ve scoured the internet looking for a selection of the best running shoes for people with high arches. You can see the list and accompanying short reviews below. The first thing that grabs you about these shoes is the bright, vivid colors that they are made in. Anyone would be delighted to run inA SICS Men’s Kinsei 4 Running Shoes them and show off those flashy colors. Apart from their colors, they have other noteworthy features. The biomorphic design was made using stretch material with results in giving your feet an excellent fit. Therefore, this technology would cater to your arches as the shoe will adjust to the shape of your feet. Note: The version 4 doesn’t seem to be available for sale at the moment, but they’ve already brought out a version 5 and a version 6, which is available for sale online. ASICS Men’s Kinsei 4 Running Shoes also has Personalized Heel Fit Technology that has two layers of memory foam which further helps to create a customized fit. A well-fitted shoe is one of the most important steps in having a comfortable pair of running shoes. This shoe is also infused with a gel cushioning system which guarantees comfort with each stride that you make. It also has ComforDry Sockliner technology which helps to control moisture and added comfort. In other words, your feet won’t get very sweaty and cause slipping and discomfort. In addition to that, the rubber sole also provides great grip. It also has a midsole technology which gives great cushioning and also contributes to durability. The biomorphic design and the other technologies used in the creation of this shoe help to make it one of the best running shoes for high arches. Made up of both synthetic material and fabric. It has a rubber sole which guarantees comfort. It provides biomorphic design to give an excellent fit. It has Solyte Midsole Foam to provide great cushioning. Supportive heel clutching system for a secure fit. ASICS Women’s Gel- Kinsei 4 Running ShoeSimilar to its male counterpart, the ASICS Women’s Gel- Kinsei 4 Running Shoe also comes in bright vivid colors which brings life to your feet and will brighten-up any running outfit. This running shoe is also embedded with various technologies to help make running a comfortable and enjoyable experience. One such technology is its impact guidance system which serves the purpose of enhancing the foot’s natural gait or natural rhythm. This enhancement will automatically improve running performance. This guidance system has a deeply carved longitudinal (from heel to toe) groove that promotes the right gait by guiding the foot throughout its natural center of gravity. Adding to the flexibility of the sole unit is a lower midsole which is designed to create comfort for runners with high arches. The heel clutching system also helps to ensure a secure and customized fit. 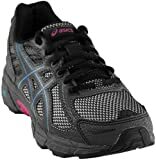 The Kinsei 4 running shoe for women is characterized with components to improve fit, comfort and performance. Made up of both synthetic and mesh material. It comes with a rubber sole which guarantees comfort. There is an Impact Guidance System which enhances movement of the foot. The Guidance Line vertical flex groove enhances gait/movement efficiency. It has a heel clutching system which gives a secure fit. It has a cuprothermo metallic film which retains heat in cold weather and releases heat in warm weather. This running shoe was specifically designed for runners with normal or high arches. It also has other features which can certainlySaucony Men’s Triumph 10 Running Shoes enhance running experience. One such feature is its crash pad which has three pods that each responds independently to movement which helps to reduce impact and results in very smooth landing and transition. The Sauc-Fit and Powergrid technologies does well to ensure a secure fit as well as providing cushioning for adsorbing impact. The ComfortLite Sockliner cradles the feet comfortably and also provides arch support while reducing pressure on the forefoot. It also has technologies on the outsole that provides great traction and additional cushioning. From all these features, it seems as if running in a pair of Saucony Men’s Triumph 10 Running Shoes will be a very comfortable experience. Made up of synthetic and mesh materials. It comes with a synthetic sole. Redesigned crash pad to reduce impact. Powergrid Midsole Technology which enhances cushioning. Sauc-fit Technology which prevents slipping and keeps feet secure. It has ComfortLite Sockliner which cradles the heel and provides arch support. XT-900 and iBR+ Outsole provides great traction and cushioning. Saucony Women’s Ride 6 Running ShoesThese running shoes also come in bright, vivid colors that are to catch the eye. It has been described as one of the lightest shoes on the market. The ComfortLite Sockliner is the key technology in catering to runners with high arches. It conforms to the heel while providing additional support for the arch and forefoot. It also provides the perfect amount of cushion to support your arch. The SRC (Super Rebound Compound) Impact Zone technology gives the shoe stability and provides shock absorption. The PowerGrid technology allows for easy transition and also increases durability in the midsole. It has a HydraMax Collar Lining which helps to control moisture and thus prevent your feet from slipping and moving around in the shoes. Its iBR+ Outsole gives additional cushioning and provides traction on any surface type. Made up of synthetic material. It comes with a manmade sole. It has HydraMax Collar Lining which helps to reduce moisture. The ComfortLite Sockliner cradles the feet and provide arch support. Its SRC Impact Zone helps to reduce shock. Brooks is a popular brand for running shoes so you won’t be disappointed if you try them. The Anatomical Brooks DNA is one of theBrooks Men’s Ghost 6 Running Shoes most noteworthy features of the Ghost 6 running shoes for men. This feature gives it a customized cushioning which makes it a very soft and bouncy shoe that makes running smooth. It also has Segmented Crash Pads which are designed to expand and provide shock absorption as the shoe makes contact with the ground. As an upgrade to Ghost 5, the midfoot shank has been removed with the result being a flat sole unit that will make full ground contact from heel to toe and will provide a very smooth transition. The overall fit of the shoe is comfortable and snug. It has additional padding around the heel and collar to keep the shoe securely in place and to prevent uncomfortable rubbing or chaffing. The Ghost 6 is not heavy and provides a good balance of weight, cushioning, and everyday durability. It’s made up of synthetic material. It comes with a rubber sole. It has anatomical Brooks DNA which provides customized cushioning. The Omega Flex Grooves gives extra flexibility. The Segmented Crash Pad gives the right amount of cushion stabilization for heel to toe transition. They’ve removed the midfoot shank to facilitate a smooth transition. Brooks Women’s Glycerin 10 Running ShoesThe Brooks Women’s Glycerin 10 Running Shoes is not the lightest shoe out there but in terms of cushioning and comfort, it matches up well against the best of the best. It comes with the signature Brooks DNA which provides excellent cushioning which allows for great shock absorption and allows for a more responsive and flexible sole. The crash pad is also full length to guarantee additional comfort. The Omega Flex Grooves allows the shoe to flex freely without affecting cushioning and it also ensures that the midsole still offers the needed stability. The Heel Caterpillar Clutch cradles the heels and allows a smooth transition from heel to forefoot. Its DRB Accel feature is specifically geared towards runners with high arches and is intended to provide any additional support needed for the arches so as to ensure a smooth transition from the midstance phase to the propulsion phase. Its environmentally-friendly Full Length BIOMOGO Midsole is made of non-toxic material. It’s also an award winning midsole which gives superior cushioning and reduces any shock that’s usually felt during the propulsion phase and also the landing phase. It’s made of mesh material. It has Omega Flex Grooves which enhances flexibility. The Heel Caterpillar Clutch allows for smooth transition from heel to forefoot. It also has Full Length BIOMOGO Midsole that reduces shock with its superior cushioning. It has DRB Accel which caters to high arches and creates smooth transition between strides. All of the 6 shoes mentioned above have some great features that will make runners, especially those with high arches, happy. In first looking at the prices for the men’s shoes, the Saucony Men’s Triumph 10 Running Shoes is possibly the most affordable starting from as low as $64.45. It can however get as high as $130 which pushes it a little out of the cheap region. The Brooks Ghost 6 falls in the middle in terms of pricing and ranges from as low as $72 to $119. This is a very reasonably priced shoe. 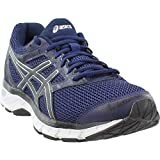 The ASICS Men’s Kinsei 4 Running Shoes is the most expensive of these three men’s shoes starting at $110 with the possibility of getting as high as $229. Therefore, for you male runners out there you can make a choice based on both pricing and quality. 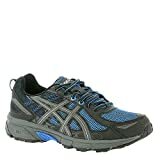 ASICS and Brooks are given great reviews as being top quality shoes. Of course, the technologies used in these shoes will make some of them more expensive than others. If you are more concerned about pricing, then the Saucony Men’s Triumph 10 Running Shoes is a great choice which also has some great qualities that will enhances running. If money is not an issue, you can definitely check out the ASICS which has a renowned reputation for being of high quality. The Brooks Ghost 6 is also an amazing shoe giving you quality features at an affordable price. All in all, all three shoes seem to be a great choice. In looking at the women’s shoes, starting at $89.00, Brooks Women’s Glycerin 10 Running Shoes is the most affordable of the three. Saucony Women’s Ride 6 Running Shoes is also affordable and ranges from $99.95 – $109.99 while ASICS Women’s Gel- Kinsei 4 Running Shoe ranges from $120 – $190 and is the most expensive of these three women running shoes. The good thing about these shoes is that they are all great choices and they even have similar features. If you are looking to save money rather than to splurge, the Brooks Women’s Glycerin 10 Running Shoes is the one for you. It still has the necessary technology to make your running experience comfortable but it might be a little heavier in weight than the other two running shoes. Saucony Women’s Ride 6 Running Shoes is also not very expensive. The added outsole technology seems to be good addition and it’s also very lightweight which gives it an edge over the Brooks Women’s Glycerin 10 Running Shoes. The ASICS Women’s Gel- Kinsei 4 Running Shoe is the one you should buy if you are willing to splurge. As was mentioned before, ASICS is a good brand and they use the best technologies to enhance their products. Therefore, with a price range of $120 – $190, you should be getting a very high quality pair of running shoes. Whatever your choice, these shoes cater to runners with high arches. All 6 shoes have some amazing feature which should help to enhance your running experience. They also have varying price options that you can choose according to your pocket. Therefore, make sure to buy the one that appeals to you the most and hit the road running.